Greenville girls earn second place trophy at Greenville Invitational. Greenville boys earn first place trophy in Greenville Invitational track & field meet. GREENVILLE – The Green Wave boys took first place in the Greenville Invitational track and field meet with the Lady Wave coming in with a strong second place finish in the girls meet. The GHS boys made it back-to-back first place finishes after taking first place in Tuesday night’s Sidney Invitational. The Greenville boys took first with 156 points. the Wayne Warriors took second with 147 points, Eaton finished third with 146.33 points, Butler came in fourth at 108, Fairborn took fifth with 50.33, Troy Christian sixth at 50.33, Wayne B seventh with 26 and Greenville B finishing in eighth place with 14.33 points. Vandalia Butler Lady Aviators took the top spot on the girls side with 171 points, Greenville finished second with 153 points, Eaton third with 147, Wayne fourth at 91, Troy Christian fifth with 51 points, Fairborn sixth at 39 and Wayne B coming in seventh with 21 points. 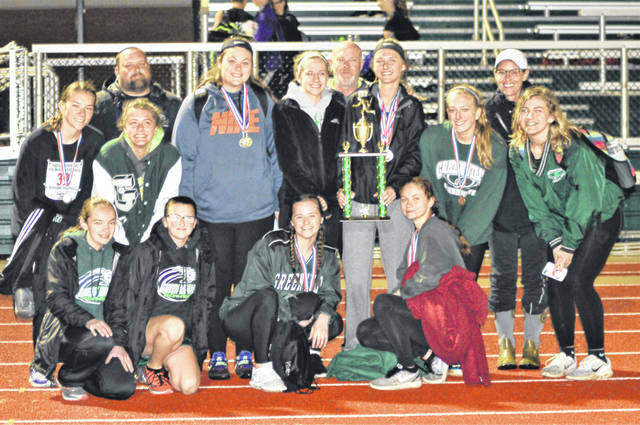 https://www.dailyadvocate.com/wp-content/uploads/sites/34/2019/04/web1_GHS-Girls-Track.jpgGreenville girls earn second place trophy at Greenville Invitational. 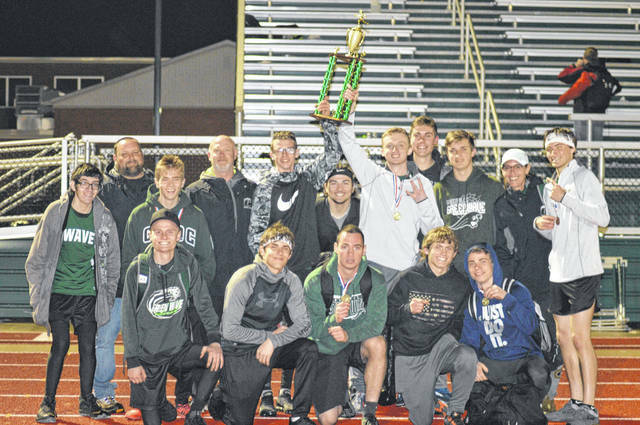 https://www.dailyadvocate.com/wp-content/uploads/sites/34/2019/04/web1_GHS-Boys-Track.jpgGreenville boys earn first place trophy in Greenville Invitational track & field meet.